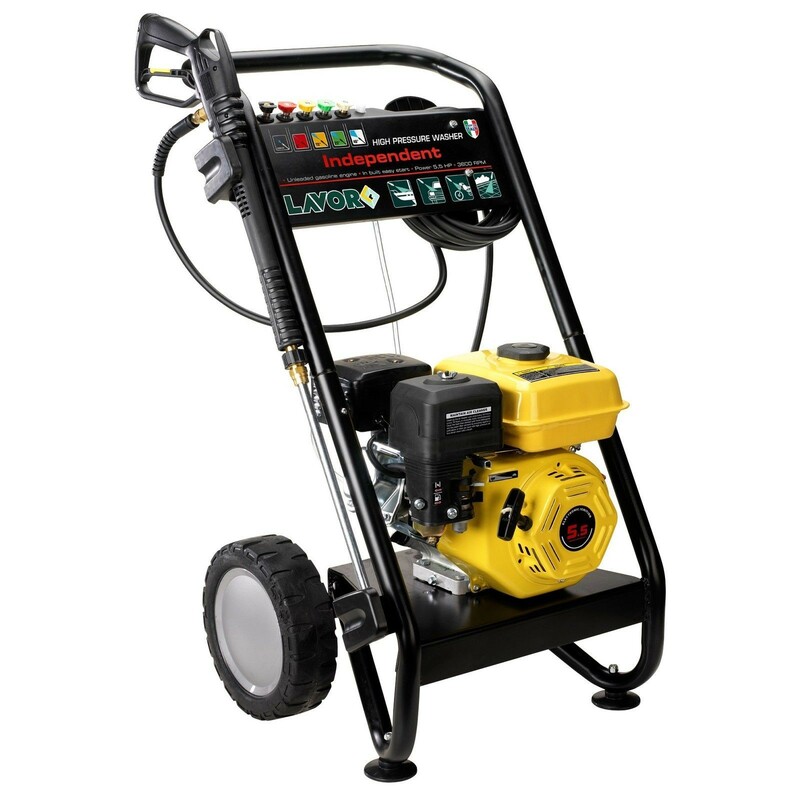 The Lavor Independent 2300 Domestic Petrol Pressure Washer has a 5.5HP 4 Stroke Petrol Engine, producing 160 bar (2320 psi) max pressure at 540 L/Hr water flow rate. Level 6/6 of the Lavor product guide. Suitable for all general domestic cleaning duties, including mains or static water feed capability. The Lavor Independent 2300 Petrol Pressure Washer is supplied with a 8m HP Hose, heavy duty HP Gun, metal lance and interchangeable push-fit nozzles. Constructed onto a heavy duty trolley with large wheels for mobility.